I could hardly believe my ears this morning, listening to Radio 4. There was a piece about a new tapestry, to rival the Bayeux in length – describing the history of Scotland. 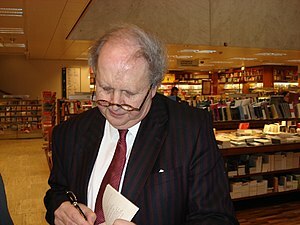 Apparently, it is the brainchild of the author Alexander McCall Smith – he who gave us the Number One Ladies’ Detective Agency – and who must be one of the most engaging Scots alive today, together with the artist Andrew Crummy (what a splendid name for any artist), and history writer Alistair Moffat. The work will comprise over 100 panels, each being worked by volunteer stitchers from around Scotland. It is to go on display in August 2013. I had a quick trawl around Google this morning, looking for pictures or more information, but so far, nothing substantial – just the link at the bottom of this post – perhaps we’ll see more later today, since at last, needlework has hit the major news programme of the day! So a huge thumbs up to McCall Smith for having the vision and will to put this project into action – and I really look forward to seeing what the finished piece looks like. What a wonderful legacy for future generations of proud Scots. Glad to see that someone still appreciates the value and the art of tapestry. Thanks Kathy – I hadn’t heard of the Quaker Tapestry before – but you’re right – it’s something quite special. We get to the Lake District every few years, so now I’ve got somewhere to go on our next visit. I’m glad you put up this post on the Great Tapestry. i missed the item on radio4 this morning, though my wife did mention it to me. I had never heard anything about it before. Thanks for the link as you saved me a bit of time googling. I have registered my interest in the project. Will just have to wait and see what happens now. So pleased to have helped. It sounds so good, I’d love to put a few stitches in it too – but I’m not sure that I could show any Scottish ancestry – pity though, I wonder if a life long love of the Highlands and single malts would qualify me as an honorary Scot? This is wonderful news indeed. There is nothing more exciting than a huge project which marries history, culture, and art in such a way. I am looking forward to reading more about this here and elsewhere. I hadn’t heard of it until last week, I think in some ways it was the inspiration for the proposed new work. I hope to see it at some stage.